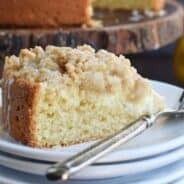 Fall is here and so are the Pumpkin recipes! These Pumpkin Cheesecake Crescent Rolls are the perfect breakfast on a chilly morning. Don’t forget the cream cheese glaze! Pumpkin season has officially arrived. If you follow me on instagram you may have seen the case of pumpkin! So I sure hope you love the orange fruit as much as I do! These Pumpkin Cups are so easy to make! I made two batches, trying a different technique with each batch. The first batch I unrolled the crescent rolls like you would normally do. I put a big scoop of filling inside and rolled them back up! I baked according to the crescent roll package, adding an extra minute or two. When I removed them from the oven I brushed them with some melted butter and sprinkled the rolls with cinnamon and sugar. I then drizzled some of the cream cheese glaze on top. These were delicious. A bit messy, but still VERY delicious. The filling oozed out a little bit, but firmed up on the ends. Once cooled, the pumpkin cheesecake had firmed up more, but the crescent rolls flattened. Quite tasty, but unattractive! The second batch I made using my cupcake tin. I took each triangle of dough, rolled it into a ball then pressed it into a cupcake tin with my fingertips. I put a scoop of filling inside the dough and baked according to the package. I also added an extra minute or two to let the crust brown a little more. I drizzled the glaze over these too (but skipped the butter/cinnamon step). This was my favorite batch. They were easier to eat in a little “cup.” The filling was still soft and creamy (not firm like a typical cheesecake). I loved the centers, and I loved that the “cups” didn’t sink or flatten. As for the rest of the family, it was a “tie.” Some liked the sweetness that the butter and cinnamon/sugar gave the crescent rolls. The picky eater liked the crescent roll better because the filling was more firm (she is my texture challenged child, haha)! The rest of us really enjoyed the cups because of the creamy centers and the beauty! 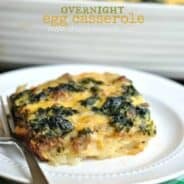 So, you decide how you want to make these! Either way is delicious. The recipe calls for two rolls of Pillsbury Crescent roll, so you could make half and half! ENJOY. 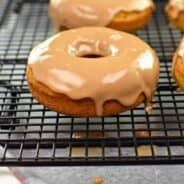 Don’t forget the cream cheese glaze! Fall is here and so are the Pumpkin recipes! 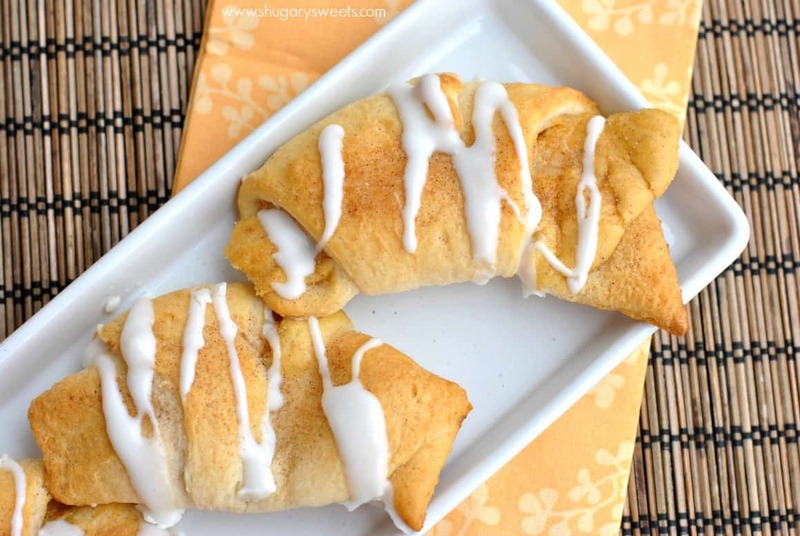 These Pumpkin Cheesecake Crescent Rolls are the perfect breakfast on a chilly morning. Don't forget the cream cheese glaze! To make the filling, beat cream cheese, powdered sugar, pumpkin, cinnamon and allspice with an electric mixer for 3-5 minutes, until fully combined. To assemble, decide if you will be making crescent rolls or crescent cups. For the cups, unroll crescent rolls and separate triangles (for a total of 16 triangles). Roll each triangle into a ball then press into individual muffin tin cups, until dough is covering bottom and sides of muffin cup. Scoop a large spoonful of filling into each muffin cup. Bake in a 375 degree oven for 13-15 minutes. For the crescent rolls, unroll the crescents into 16 separate triangles. Prepare a baking sheet with parchment paper. Scoop a large spoonful of filling into the center of the triangle. Roll up the crescent carefully, like normal, and place on parchment paper lined baking sheet. Bake in a 375 degree oven for 11-13 minutes. If desired, brush crescents with melted butter and sprinkle immediately with cinnamon/sugar mixture. Cool crescents. 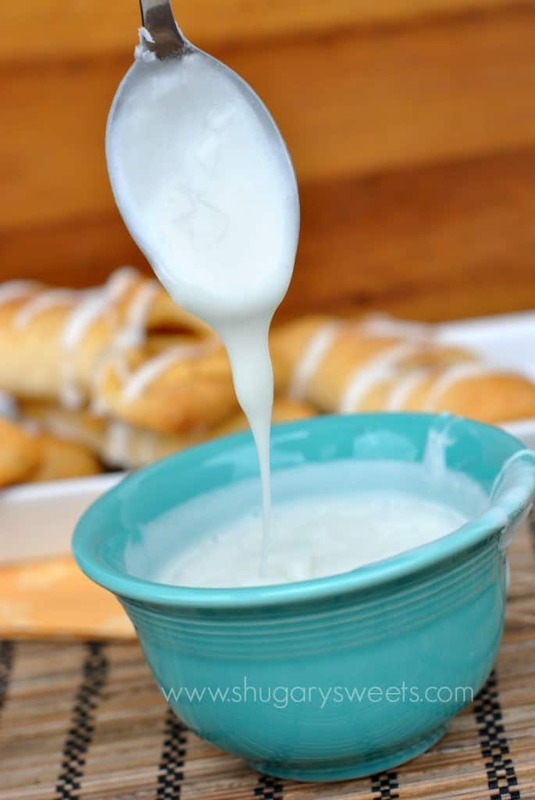 To make glaze, whisk together the cream cheese, powdered sugar and milk until desired consistency. Add more milk if needed. Drizzle over cooled crescents and enjoy! Best if eaten same day! Check out “The Great Pumpkin” board on Pinterest! A CASE of pumpkin? I’m madly jealous! I love the muffin ones Aimee (even though I”m sure both are fabulous). Something about them is just extra cute! These look wonderful Aimee! So glad fall is finally here! These look amazing for fall Aimee! Hooray for all things pumpkin…I’m so glad you are as pumpkin crazy as me 🙂 I LOVE those cute little cups. I tried something similar with apples too…love how our minds work!!! Love this! And that cream cheese glaze is just the icing on the cake! The cream cheese glaze is definitely the most important part! 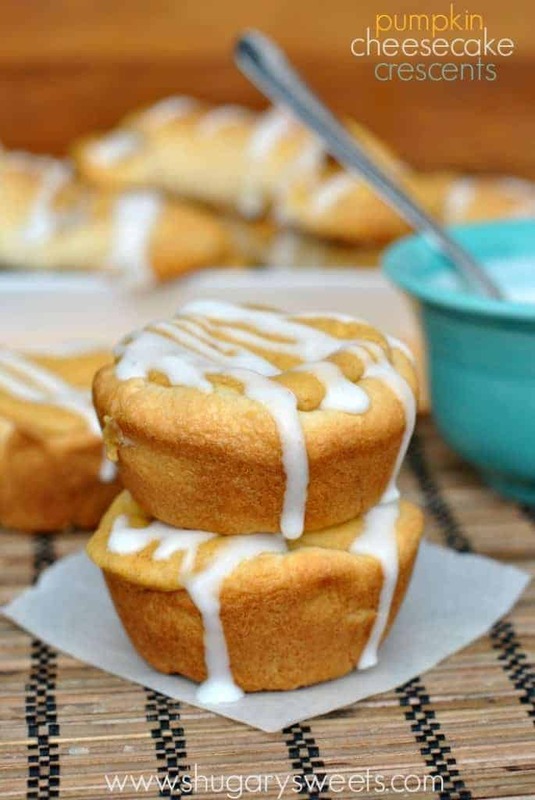 I have never seen crescent rolls in muffin cups! That is so creative! 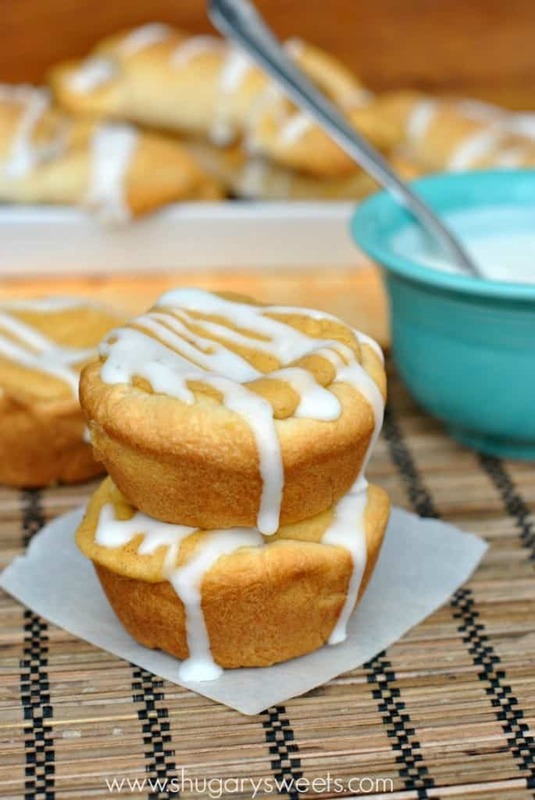 Between the glaze and the filling, these look just about perfect! These look so delicious! What a creative idea. 🙂 I love it! 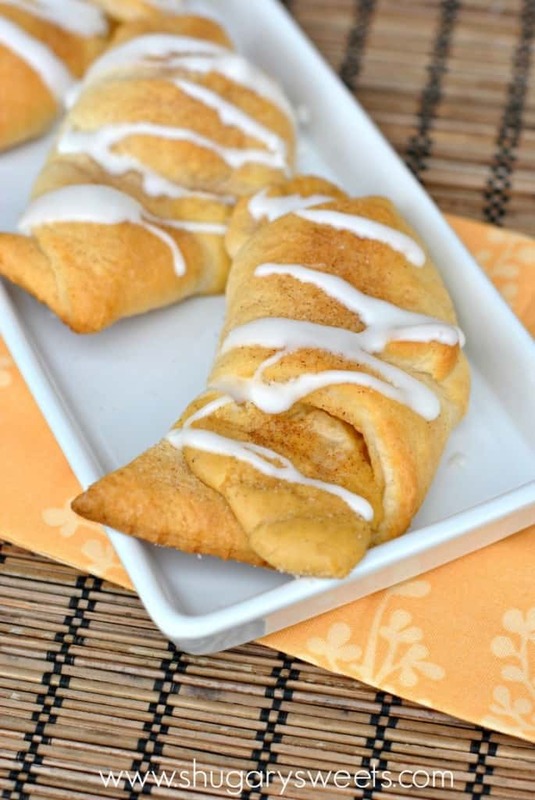 What a fun way to use crescent rolls and pumpkin together! And I love that there are two different options for how to make these delicious breakfast treat. Can I have the cinnamon sugar and cream cheese glaze?! Drool!! I LOVE pumpkin, and can’t wait to see more pumpkin recipes! I love the ones that are in cups, they’re so so cute! Oh my word these are amazing!!! Oooh! I’ll have to try this one out. They look so good! I think I need to pick up a case of pumpkin myself with all these tasty recipes popping up everywhere! YUM! I love how easy these look too! 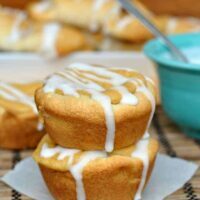 Are these regular or mini muffin pans? Can’t wait to try them. These are in a regular muffin pan!! Pingback: Prosciutto Ricotta Pinwheels from Never Enough Thyme — Never Enough Thyme - Recipes with a slight southern accent. For either method you could sprinkle a little cinnamon/sugar mix over the crescent triangle and press it into the dough before rolling it into a ball or putting it into the muffin cups.